This guide will help you decide which element to choose and only you can decide which combination of elements is best for your gaming style. This guide will walk you through the different types of Elements, Attributes and Jutsus. Since many are still confused with "Elements", I will explain here first before anything else. Ninja Saga known elements and what they represent. Now this is where the confusion comes for some players.What is your Element? or Choose this and that Element! Now some players thinks that the element that is pertaining to is the element where you put your points into and other players simply understand it as ninjutsus. That is why we have Element Attributes and Element Ninjutsus to make things clear. This is where you put your points into every time you level up. Below are the bonuses that you can get if you have invested points to a specific Element Attribute. +0.4% Dodge or chance that an attack will miss you. +1 Agility. The player with the highest agility will act first. +1% Damage bonus to Wind Ninjutsu. +0.4% Damage to ALL damaging moves. Yes, all damages that you can think of. +0.4% Chance that the next attack on the next turn will have a +30% damage bonus. +1% Damage bonus to Fire Ninjutsu. +0.4% Critical Strike. Chance to deal 150% damage based on your normal damage. +0.8% Bonus damage to the Critical Strike. +1% Damage bonus to Lightning Ninjutsu. +0.4% Chance to remove all negative effect at the start of each turn. +1% Damage and Healing bonus to Water Ninjutsu. +0.4% chance to return 30% damage taken to the attacker. +1% Damage bonus to Earth Ninjutsu. Pure Element Attribute User - If you have invested ALL your points to a single attribute, you will get it's 100% bonus based on your current level. Recommended for beginners. Hybrid Element Attribute User - If you have invested half of your points to an attribute and the other half to another attribute, you will get 50% bonus of each attribute based on your current level. Ninjutsus or Skills that you can learn from the Academy or by visiting your friends. Note that some effects from ninjutsus like +Damage or +Critical for a number of turns, will also apply to other element ninjutsus when used. - Low damage, fast cool down and low CP consumption. - High and stable damage, average to slow cool down and average CP consumption. - Very high but unstable damage, average to slow cool down and high CP consumption. - Low damage, average to slow cool down and average CP consumption. - Average damage, average to slow cool down and average CP consumption. 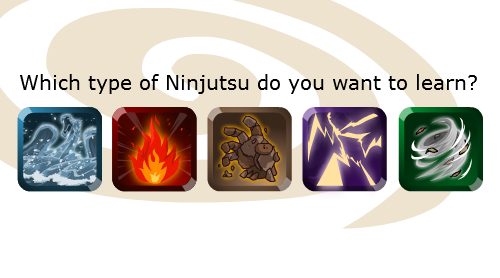 You can learn these Jutsus as an addition to your Element Ninjutsus. - Average to High damage, average cool down and very low CP consumption (10 CP). - Using Taijutsu consumes 5% of your HP. - No damage, slow cool down and high CP consumption. Pure Element User (All Attributes and Ninjutsus focused on a single Element). Now I hope you already have an Element in mind to focus on at this point. This section will help you decide which Element Ninjutsu (Not Element Attribute) is best to combine with with your primary element. Free User - can only choose up to 2 element ninjutsus. Premium User - can choose up to 3 element ninjutsus. Ninja Emblem required. The combinations below are just for introductory purposes only and may not be accurate for Token and Ninja Emblem users. Combinations below are recommended for beginners to understand the element combinations with less or no Tokens to use. For Token and Ninja Emblem Users refer to this link. The link above is also recommended for beginners to refer on. Tip: tokens are still possible to earn even for Free Users (Non Ninja Emblem Users). - Fire Ninjutsus - Compensates the low damage output of your dodger with very high and stable damaging ninjutsus but doesn't have any status effects other than Burn. - Thunder Ninjutsus - Also compensates the low damage output of your dodger with high damage and critical chances but solely relies on luck. Plus Stuns and Debuffs. - Water Ninjutsus - You will still deal low damages but your survivability will greatly increase because of your dodge and healing ninjutsus. Plus Stun and Debuff. - Earth Ninjutsus - Dodging and Protection doesn't really go well but you may still use it for it's token ninjutsus if you really want. - Wind Ninjutsus - Casting Bleeding will help you get more damage bonuses with your fire ninjutsus. Dodge ninjutsu is good for disrupting combos if you're lucky. Makes you less vulnerable. - Thunder Ninjutsus - More high damaging ninjutsus or simply pure offense. Also has stuns and debuffs but it would still make you vulnerable. - Water Ninjutsus - Heal, stun and debuff ninjutsus will help your damager stay longer and dish out more fire ninjutsus. Higher survivability. - Earth Ninjutsus - More damage but if you want more damage then go for thunder ninjutsus instead plus it has stuns too. The protection from earth ninjutsus will not really help you a lot. - Wind Ninjutsus - Casting Bleeding will help you get more damage bonuses with your thunder ninjutsus but using wind ninjutsus will weaken you critical damages. Dodge ninjutsu is good for disrupting combos if you're lucky. Makes you less vulnerable. - Fire Ninjutsus - This will greatly maximize your criticals because fire ninjutsus have very high damage outputs. Also has stuns and debuffs but it would still make you very vulnerable. - Water Ninjutsus - Heal, stun and debuff ninjutsus will help your damager stay longer but it will also weaken your critical damages. Higher survivability and chances to do criticals on healing ninjutsus. - Earth Ninjutsus - It will somewhat weaken your critical damages but it will let you perform Stun-lock combos because you have a wide selection of stun ninjutsus. Plus Protection Buff. - Wind Ninjutsus - If you want to spam ninjutsus then wind ninjutsus is good because of it's fast cool down and low CP consumption. Dodge ninjutsu is good for disrupting combos if you're lucky. - Fire Ninjutsus - Compensates the low damage output of your healer with very high and stable damaging ninjutsus but doesn't have any status effects other than Burn. - Thunder Ninjutsus - Also compensates the low damage output of your healer with high damage and critical chances but solely relies on luck. 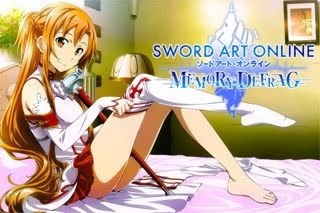 Has stuns, debuffs and ninjutsu that will give you a chance to do a critical healing. - Earth Ninjutsus - Healing and Protection sounds good but keep in mind that all attributes are focused on Water Element so it is not a good combination. Better go for Wind ninjutsus if you want Defense. - Wind Ninjutsus - Not really good because the point is, you take damage to return damage and not to dodge. If you want Pure Defense then you may use Dodge but Water Ninjutsus are better. - Fire Ninjutsus - Adds high damage to your tanker with very high and stable damaging ninjutsus but doesn't have any status effects other than Burn. - Thunder Ninjutsus - Adds high damage and critical chances to your tanker. A good combination for Stun-lock combos because you have a wide selection of stun ninjutsus. Plus Debuffs. - Water Ninjutsus - This will make you a real tanker because of your high pool of HP and Healing ninjutsus. Good but it will weaken you damage output. Plus Stun and Debuff. Keep in mind that you still have Taijutsus and Genjutsus to add to your Set of Ninjutsus and Item Scrolls for Healing and CP regeneration. Good Luck!